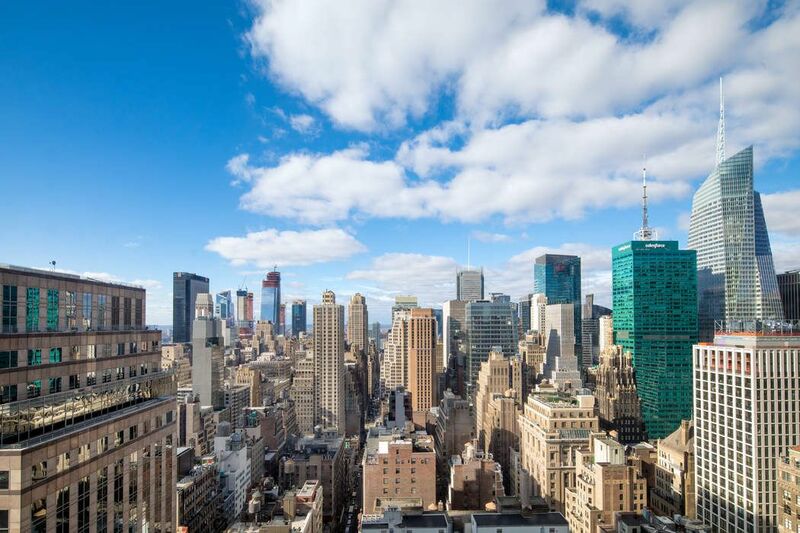 425 Fifth Avenue Apt 47D, New York, NY 10016 | Sotheby's International Realty, Inc.
$1,399,000 1 Bedroom1 Full / 1 Partial Baths990 sq. 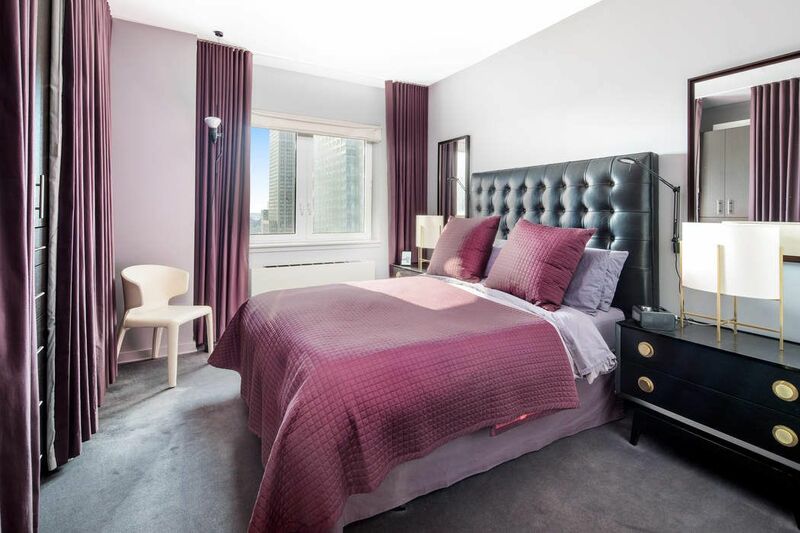 ft.
High floor 1 Bedroom/1.5 Bath with spectacular, "River to River" views and exposures to the South and West, including The Empire State Building, Midtown skyline and One World Trade Center! 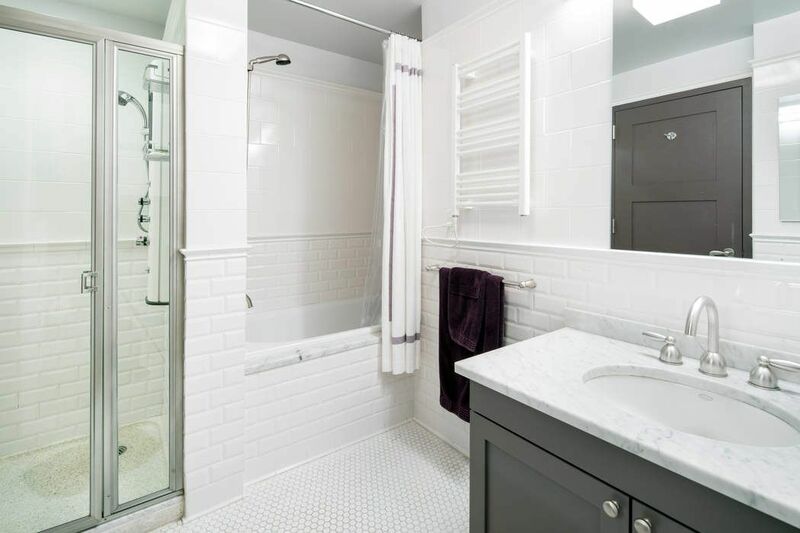 With only 4 units on this floor, enjoy privacy and all day sunshine in this nearly 1000 square foot home, featuring a chef's kitchen with Miele and Subzero appliances, Koehler fixtures, and Bosch Washer/Dryer. A spacious Master Bedroom contains a walk-in closet, custom shelving, and a spa-like Bathroom with tub and enclosed shower. There is an additional Powder Room located near the entry. Upgraded with California closets, millwork, moldings, custom paint and window treatments, PLUS option to purchase fully furnished for additional price! Large private storage unit included in price, very rare for this building. 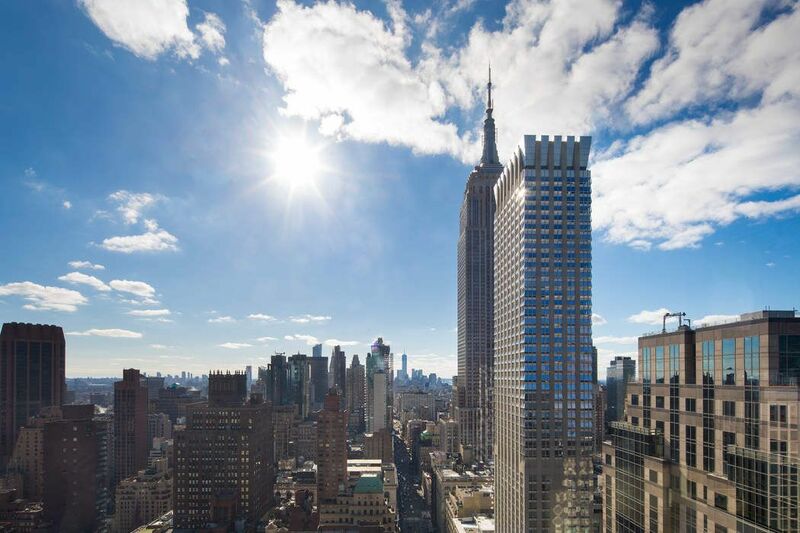 Located in the best Fifth Avenue location, 425 Fifth Avenue is a full service, luxury doorman tower designed by renowned architect Michael Graves. The building features three full floors of amenities including a windowed Fitness Room, Lap Pool, Steam & Sauna rooms, Massage Therapy rooms, outdoor Terrace, Children's Play Room, private Cinema Room, Business Center and commercial grade Laundry Room. 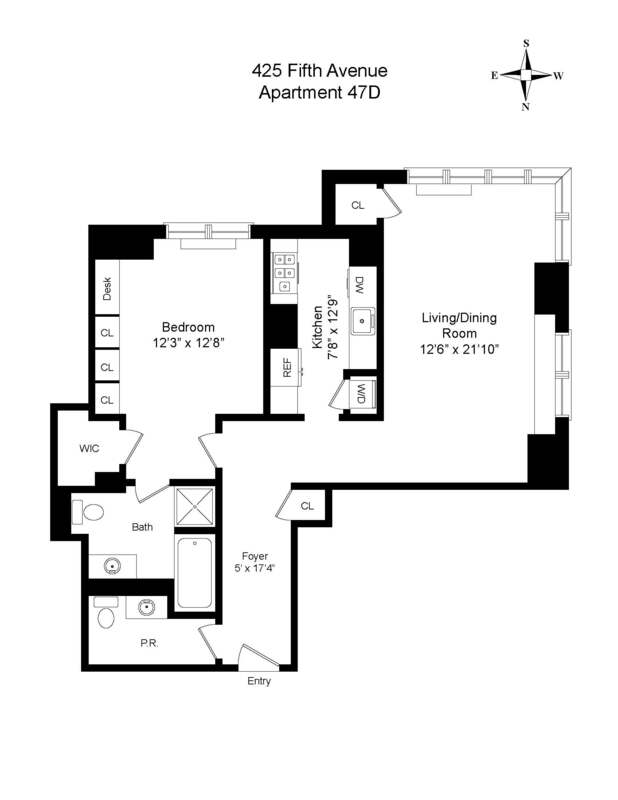 High floor 1 Bedroom/1.5 Bath with spectacular, "River to River" views and exposures to the South and West, including The Empire State Building, Midtown skyline and One World Trade Center! 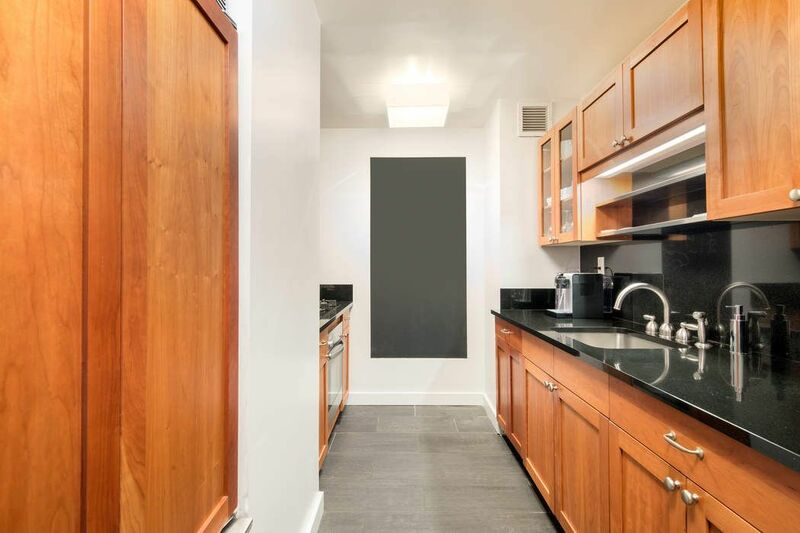 With only 4 units on this floor, enjoy privacy and all day sunshine in this nearly 1000 square foot home, featuring a chef's kitchen with Miele and Subzero appliances, Koehler fixtures, and Bosch Washer/Dryer. A spacious Master Bedroom contains a walk-in closet, custom shelving, and a spa-like Bathroom with tub and enclosed shower. There is an additional Powder Room located near the entry. Upgraded with California closets, millwork, moldings, custom paint and window treatments, PLUS option to purchase fully furnished for additional price!Large private storage unit included in price, very rare for this building. 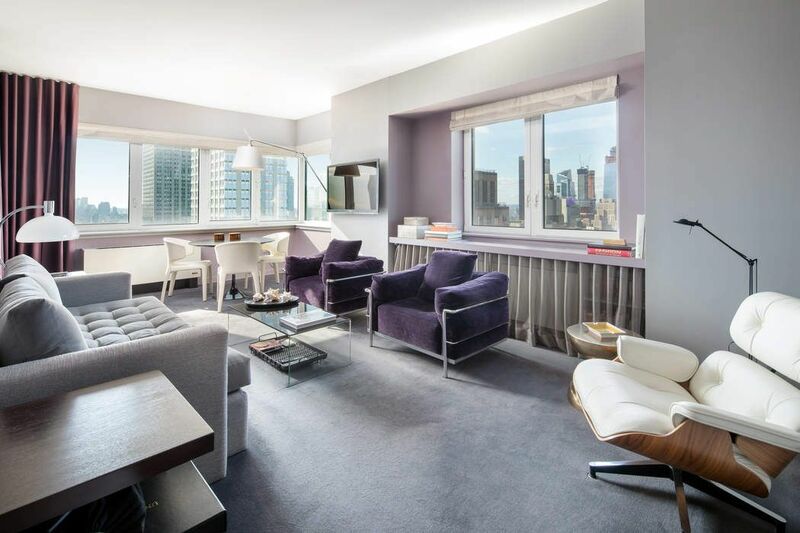 Located in the best Fifth Avenue location, 425 Fifth Avenue is a full service, luxury doorman tower designed by renowned architect Michael Graves. The building features three full floors of amenities including a windowed Fitness Room, Lap Pool, Steam & Sauna rooms, Massage Therapy rooms, outdoor Terrace, Children's Play Room, private Cinema Room, Business Center and commercial grade Laundry Room.